Ranting is an underrated part of this delightful 21st century world we find ourselves in. Don’t you think? It happens a lot – by me and to me, so to speak – and is a valuable, interesting and often amusing occurrence. rant verb (ranted, ranting) 1 intrans to talk in a loud, angry, pompous way. 2 tr & intr to declaim in a loud, pompous, self-important way. noun 1 loud, pompous, empty speech. 2 an angry tirade. ranter noun someone, especially a preacher, who rants. ranting noun, adj. rantingly adverb. ETYMOLOGY: 16c: from Dutch ranten to rave. An angry tirade! Loud, pompous, empty speech! What could be better? I’ll tell you: nothing. Why wouldn’t you want to talk like that? I’ll tell you: you wouldn’t not. But how should it be done? Fear not, friends – A Different Daylight is here with a handy guide for how to build this valuable skill into your social repertoire. Some people have built their careers out of ranting, as some simple googling will show. 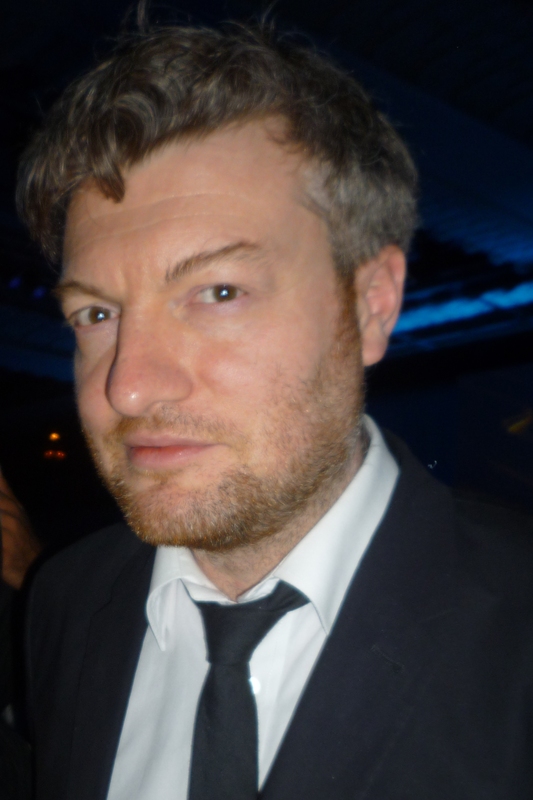 In fact, the Brooker of Charltonness has become so famous for his mastery of said skill that when I was attempting to explain the other day who I was talking about, I described him as ‘That dude on TV who rants.’ And the person I was talking to knew exactly who I meant. So, there’s that. Aside from crowing about sartorial differences, the adverts also make a big deal about PCs being associated with “work stuff” (Boo! Offices! Boo! ), as opposed to Macs, which are apparently better at “fun stuff”. How insecure is that? And how inaccurate? Better at “fun stuff”, my arse. The only way to have fun with a Mac is to poke its insufferable owner in the eye. save the melting polar bears! Wait..what? Polar bears are melting? Well, if you say so, Coca Cola..
You know that feeling of shock you get when a big brand does something stupid? You think, don’t they have enough money to throw around to make sure this kind of thing doesn’t happen? Yeah..that. And you know that feeling of shock you get when you find out white fuzzy cuddly terrifying killer bear things are capable of MELTING? You think, don’t the laws of physics have something to say about this? Yeah..that. save the home of the polar bear, which is melting. Yes, yes, I know what they mean. But assuming that your customers will know what you mean when you word something stupidly is just not good enough. It’s not good enough for Coca Cola, it’s not good enough for WWF, it’s not good enough for anyone who works in advertising or charity. And it’s certainly not good enough for those fuzzy wuzzy bears, who are pretty genuinely sadface about their home disappearing. Here’s Greenpeace doing it better. Warning: this made me weep actual tears. Am I overreacting? Here’s the thing: Any time your wording causes me to concentrate on the actual words you’re saying, and write a blog post ridiculing them, you’ve just distracted me from your (genuine) cause. Writer and renowned clever bloke George Orwell once remarked that good prose is like a window pane. When you write, readers should be able to see through your words to the truth behind. As soon as your words jar a bit, it’s like seeing a smudge on a window – you don’t see the view through the window, you see the smudge. So when you can’t be bothered to sort out the relative pronoun in your sentence, with the result that it sounds like you’re telling me polar bears are melting, my focus has shifted way away from the real problem. And that doesn’t help anyone. Get your act together, Coca Cola/WWF. The white fuzzy killing machines deserve better. 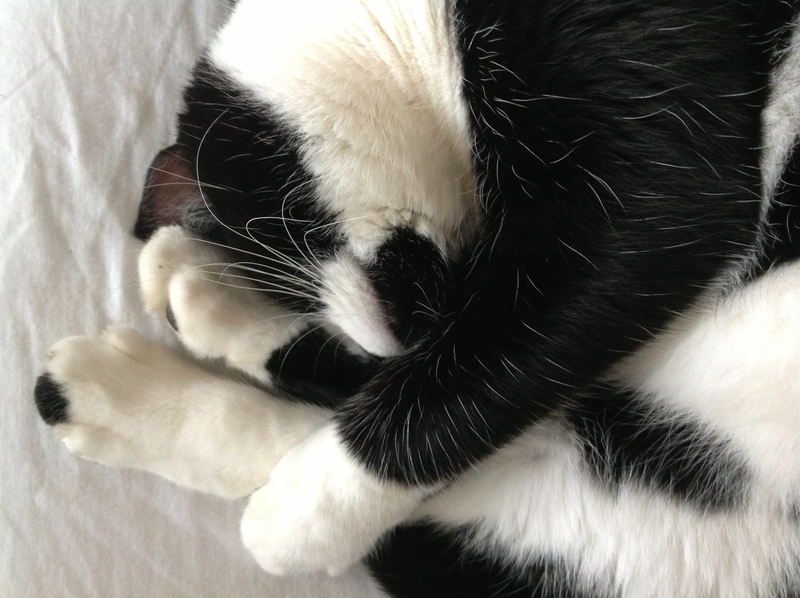 I admit he looks more like a panda in this photo, but it’s the same principle. This week, I have mainly been reminiscing about the past, which, as we all know, is a foreign country. The love scene between Tom Cruise and Kelly McGillis was filmed after initial test screenings. Moviegoers complained that there was no love scene, so the company obliged. McGillis, however, had already dyed her hair darker for her next film. This is why the scene is tinted blue. Also noticeable as a subsequent shoot due to the longer length of Tom Cruise’s hair (particularly in front). Also, we have been shrinking crisp packets in the oven. So many funz. So many impractical uses! Keyrings! Earrings! What do you mean, you’ve never shrunk crisp packets in the oven? 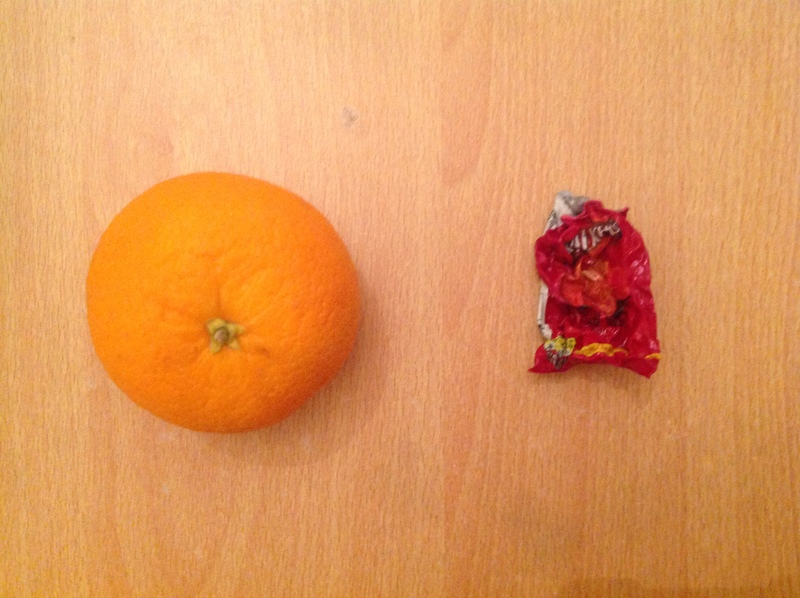 Given the amount of debate generated by this activity, I’m beginning to think this is the true division in the world. It’s not whether you’re male or female, slave or free, black or white. Nope, it’s whether you’ve shrunk crisp packets in the oven. one Mangoes (I heart you forever, friend mango). two Cats (the whole of the internet will bear me out on this, so I don’t think I need to do any further justification). 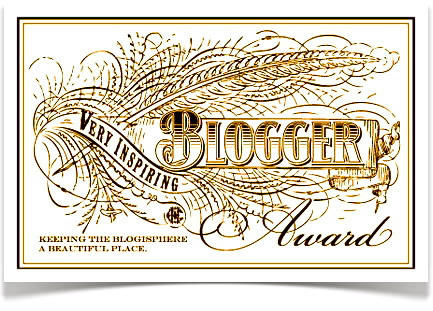 three Getting not only the Very Inspiring Blogger award from Girl in a Basement (thanks Mouse!).. 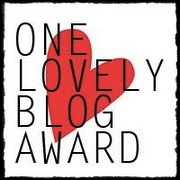 ..but also the One Lovely Blog award from Olive the People (thanks Olive! )..